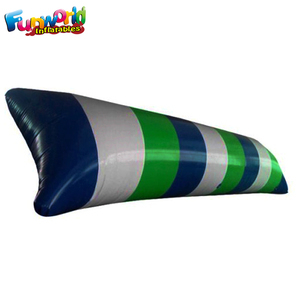 Water Blob Jump, Inflatable Water Jumping Pillow For Water Trampoline The Water Blob Trampoline is also called Water Lauch Blob,Water Pillow, Water Flipper, Water Blast Blob,Inflatable Air Bag. It's made with heavy-duty vinyl in an extremely durable process that is sure to handle any rough and tumble antics your kids can throw at it. We have a team of top designers and efficient workforce and have been working hard for many years, our products are selling to all over the world. 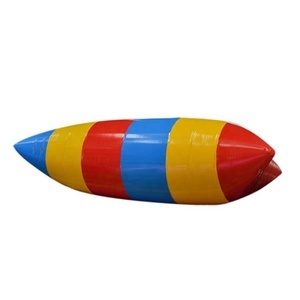 specializes in the manufacturing and marketing of inflatable products. So for any custom designs or sizes, are acceptable. Your feedback and suggestion, our guide. If this kind of product dosen't meets your requirement, customized is accepted, just contact us, we can provide the most professional and the best service. workmanship: Professional machine for cutting, printing & sewing, to ensure the quality in all process, workers will reinforce strips at joints and corners. Color Packaging & Shipping Free communication & good quality of service Fast replying within 24 hours. 2. Take nice and clear photos when production finished and show you, then well packed and deliver. 3. If you meet with any question please contact us, we will service until you satisfied. 2. Take nice and clear photos when production finished and show you, then well packed and deliver. 4. Workmanship: Professional machine for cutting, printing & sewing, to ensure the quality in all process, workers will reinforce strips at joints and corners. 7. What's the lead time9 The lead time depends on the quatity and the time that you place the order. 8. If you have more question, please feel free to contact us any time at your convenience and welcome to our company to visit. 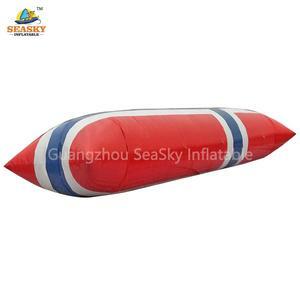 All of our inflatables are strictly tested and had customers' confirmation before shipping . How to order Established in 2016,Jumping Fun provides all solutions to your inflatable products in need. You can get from here not only a product,a supplier,but a business partner in life time. 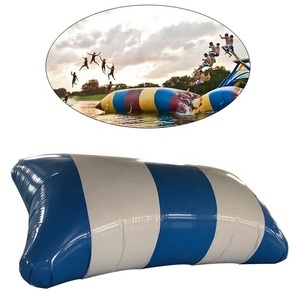 Zhengzhou Sunwell Amusement Equipment Co., Ltd.
Alibaba.com offers 928 water blob jump products. About 75% of these are water play equipment, 8% are inflatable bouncer, and 1% are trampolines. 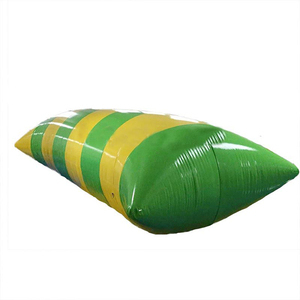 A wide variety of water blob jump options are available to you, such as free samples, paid samples. 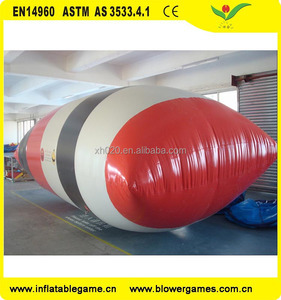 There are 848 water blob jump suppliers, mainly located in Asia. The top supplying country is China (Mainland), which supply 100% of water blob jump respectively. 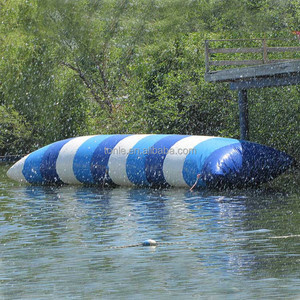 Water blob jump products are most popular in North America, Western Europe, and Southern Europe. You can ensure product safety by selecting from certified suppliers, including 75 with Other, 14 with ISO9001, and 7 with BSCI certification.